A Melbourne investor group has purchased a major Rocklea industrial facility for $6.25 million on a yield of 8.4 per cent and 12 year leaseback arrangement with Tutt Bryant Group Limited. 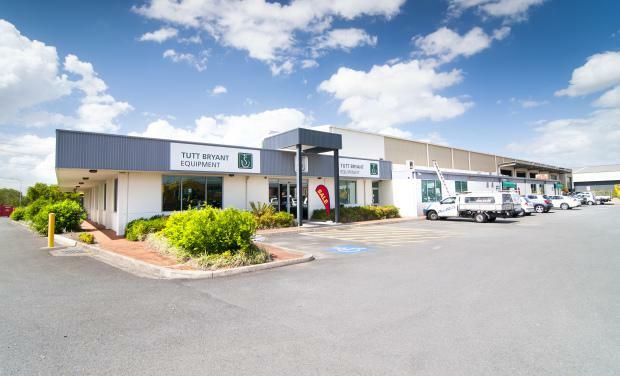 National provider of industrial hire services and construction equipment sales, Tutt Bryant operate their Queensland head office from the premises, as well as a warehouse and distribution centre and a sales and display yard. They purpose built the facility in 1998, and have occupied it ever since. Marketed by Matthew Frazer-Ryan and Levi Maxwell of Colliers International, the property was hotly contested with 49 enquiries received from around Australia. Mr Maxwell said they shortlisted two parties with the end buyer being an interstate investor who saw the property as a great investment due to its long term lease to a stable covenant and ideal location. “The buyer’s view is that the site may have a higher and better use in the future given its main road exposure. In the meantime there is a solid income stream with Tutt Bryant Group utilizing all the facility’s attributes such as washbay, crane and display yard,” Mr Maxwell said. Located at 14 Ashover Road, the property offers low site cover featuring a 19,490sqm block and a 3,203sqm freestanding office and industrial facility with significant main road exposure. It is positioned in a prime industrial and commercial precinct with excellent arterial and local road access. Nearby occupiers include Bunnings Warehouse, Amcor Packaging, BOC Gas, Harvey Norman and other significant national operators. According to Colliers International Industrial research report the investment activity in south Brisbane was dynamic in the first half of 2015. Nine sales were registered in the region during this period, with a combined value of $104.7 million. The largest transaction was Centuria’s $22.2 million purchase of 13,774sqm warehouse which is fully leased to BlueScope Steel with a WALE of 10.9 years and yield of 7.76 per cent.